In the U.S., we waste an estimated 40% of the food we produce from farm to fork to landfill. According to the USDA, households and food service operations together lost 86 billion pounds of food in 2008, or 19 percent of the total U.S. retail-level food supply. 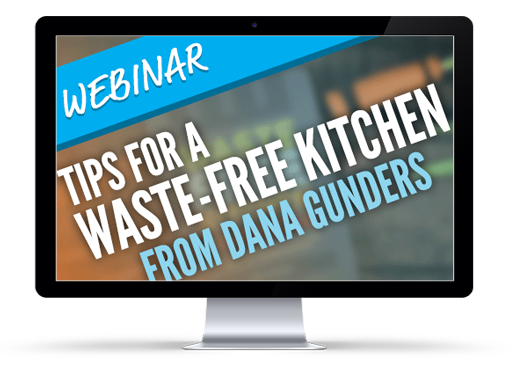 This webinar will explore tips to reduce that waste, from at-home to commercial foodservice kitchens. Dana will highlight some of the checklists, recipes, and practical strategies from her book released in late 2015, Waste-Free Kitchen Handbook: A Guide to Eating Well and Saving Money By Wasting Less Food. After a short presentation, LeanPath’s Andrew Shakman will join Dana for a facilitated discussion of how many of the tips can apply to foodservice operations, and ideas you can put to work in your operation. Dana Gunders shares her top tips for reducing food waste in your operation directly from her new publication, Waste-Free Kitchen Handbook: A Guide to Eating Well and Saving Money By Wasting Less Food.